What exactly is a bath truffle? 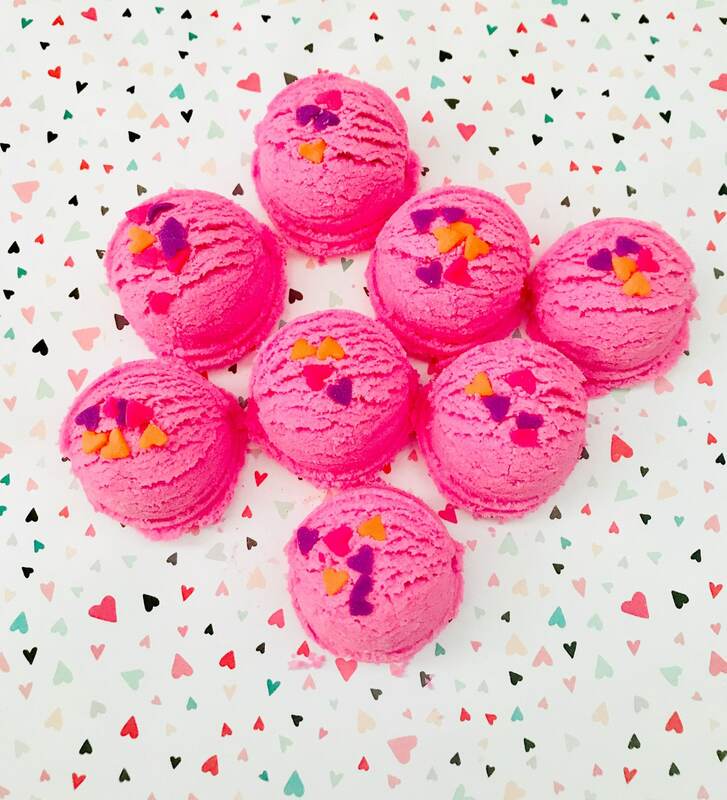 Well....it's a little bit of a bath bomb (fizzy) and bath melt in one. 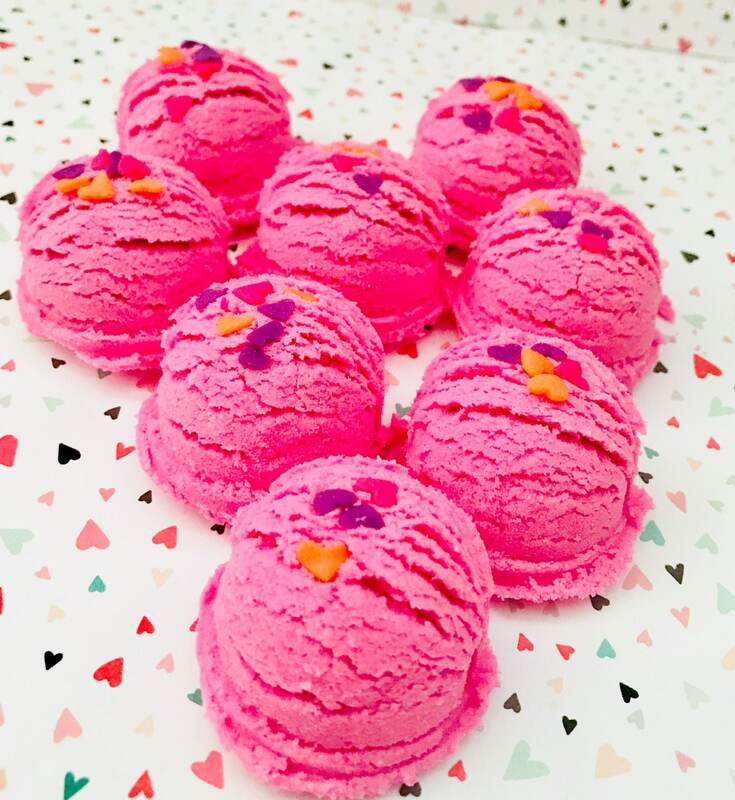 Bath truffles are made with similar ingredients, except for the fact that truffles have moisturizing butters and oils that make them rich in skin softening and anti-aging properties. 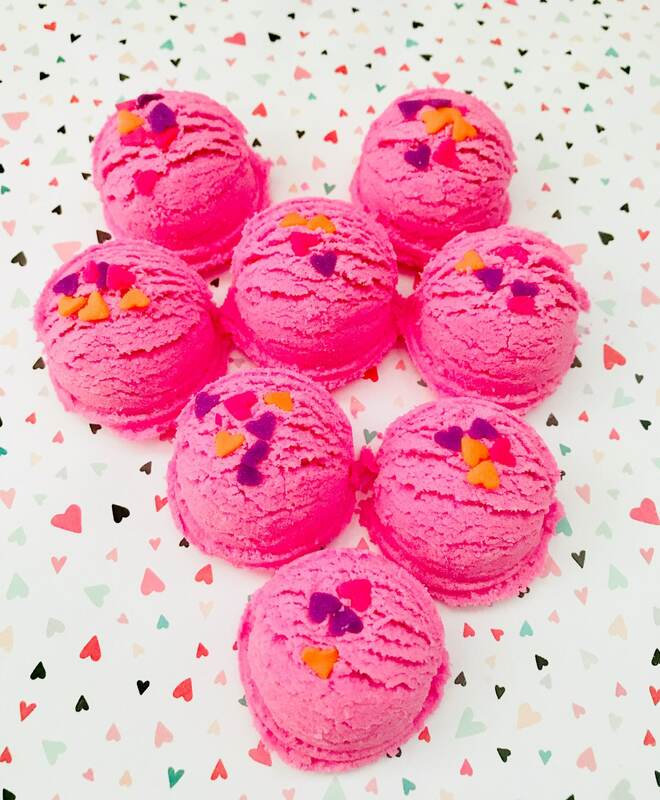 This listing is for four bath truffles that are approximately 1 oz. each and are scented with a delicious sweet candy and sugar fragrance oil. Each truffle is individually wrapped and placed in a cello bag with label. Makes a great gift for co-workers, teachers, friends and family. Coconut Oil-Great for hydrating dry skin and has been known to treat skin conditions such as psoriasis, eczema, and dermatitis. Due to its high antioxidant properties, it helps in preventing premature aging, wrinkles and sagging. Vitamin E- Known for replenishing, moisturizing and nourishing skin. Directions: Drop one bath truffle in warm water. Watch as it fizzes and disperses it's nourishing butters and oils. 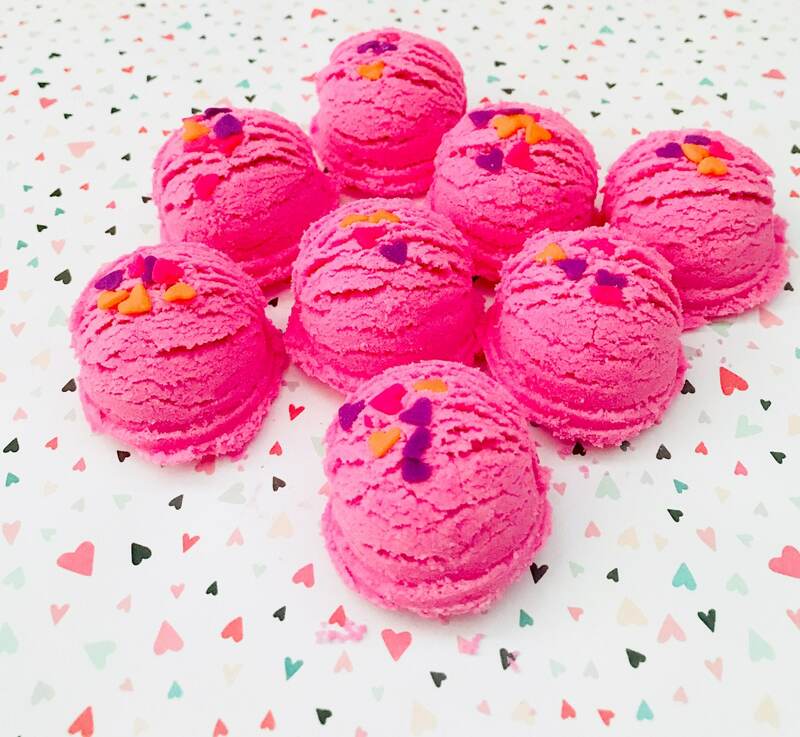 Just be careful getting out of the tub, these truffles can make your tub a bit slippery due to the oils. Don't forget to visit and like us at www.facebook.com/sweetnsaltybathshop for new products, give-a-ways, coupon codes and more!